The Lunar New Year is but a week away, and a traveler from the East has arrived in Queenstown! She comes with a special shop and is looking for festive coins that you can earn from a trio of events throughout the month. 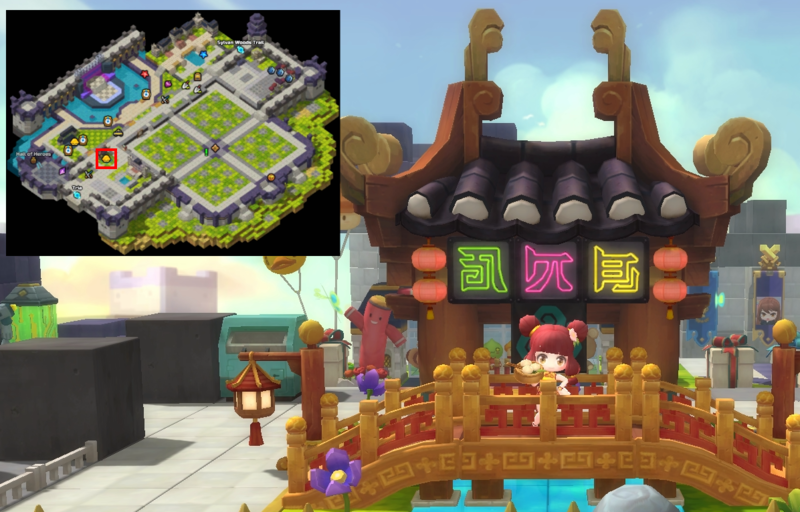 Cook some dumplings, release some lucky flying pigs into the sky and race against your fellow Maplers for special prizes with Ming Ming's New Year Events! We're bringing back the Dungeon Delight Event for Hard Adventure Dungeons. Get double the drops when you take on Hard Adventure Dungeons and get geared up for Chaos Raids! Aside from the Hard Dungeon Delight Event, this month's events all have one thing in common: You can complete them to earn special Lucky Pig Coins, which you can bring to the lovely Ming Ming in Queenstown for some spectacular prizes! Special outfits, new mounts and other cosmetics, Gemstones and Gem Dust and much more! 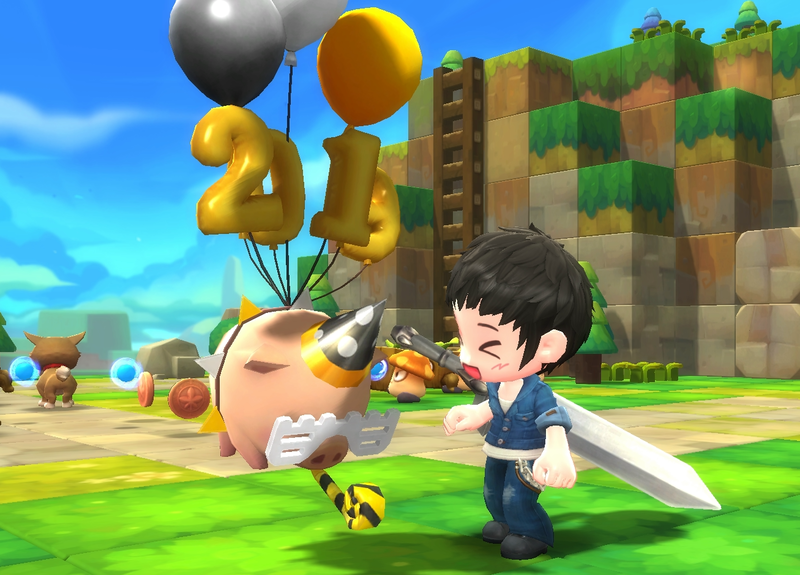 The Dumpling Festival is a delicious way to stay equipped with all the utility items you need when playing MapleStory 2! 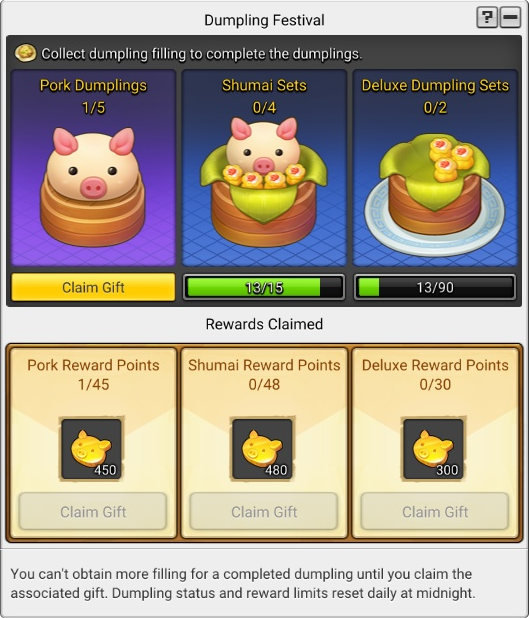 Collect filling through normal tasks, make some dumplings and turn them into boxes filled with customization vouchers, healing consumables, mesos and more! There's a number of lucky piggies hoping to enjoy the Lunar New Year, but they're all stuck on the ground throughout Maple World! Take Ruby's invite and free the piggies to earn a collection of Lucky Pig Coins every day! Hit the ground running with a special Crazy Runners course for one month only! 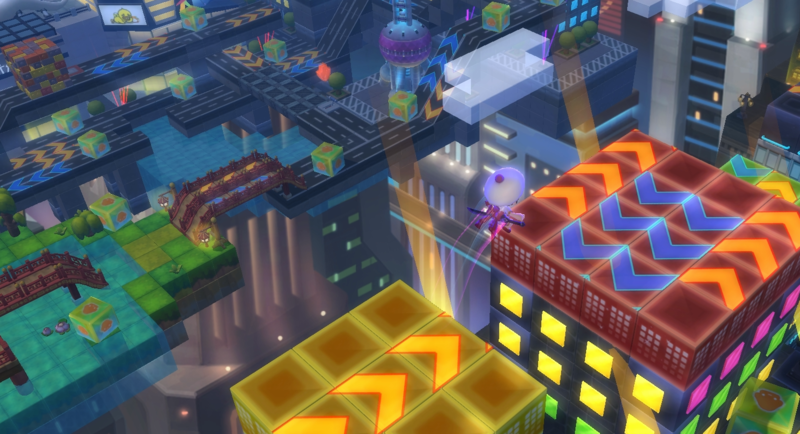 DJ Kay has come up with a new course across the streets and high-rises of Shanghai, filled with traps, items you can grab to slow the competition down and many gaps to carefully cross. Complete the course before time expires to earn a Lucky Pig Coin!